Where did the time go? Valentine’s Day is just days away. But, not to fear. 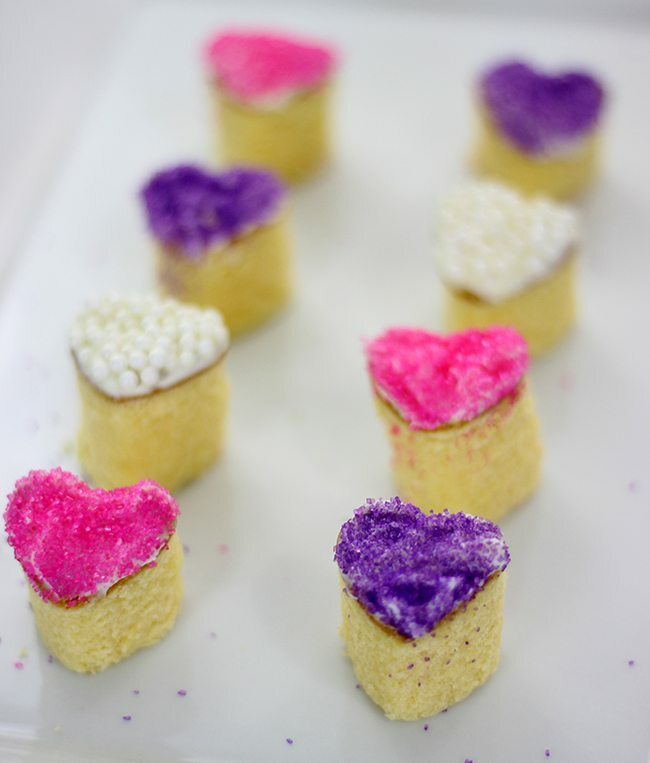 You need no time at all to make these super cute mini heart cakes. We’re totally hacking this holiday with two simple components. It’s a store bought pound cake and a mini heart shaped cookie cutter. Borderline genius, as they say. Psst. 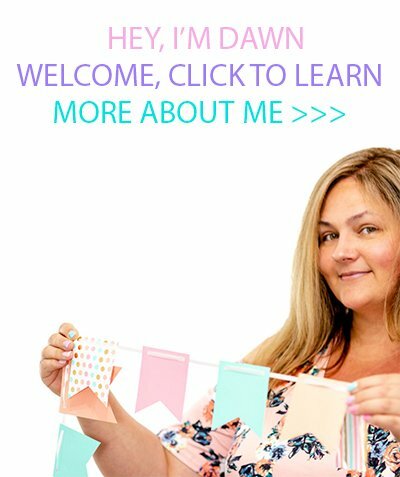 There are affiliate links to some products shared in this post. 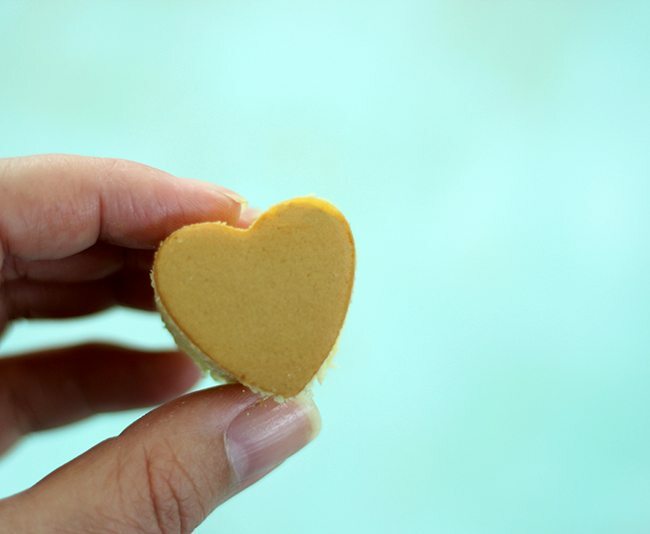 Mini Heart Shaped Cookie Cutter – I recommend using a metal one. I had a plastic one on hand, but it wasn’t ideal. 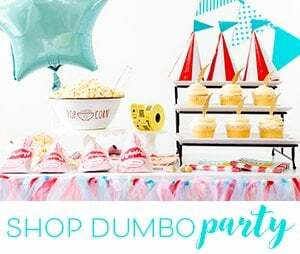 Store Bought Pound Cake – I recommending Sara Lee All Butter Pound Cake for a firm cake that will work perfectly for this without many crumbs or crumbling. I used the 1lb size and approximately 20 hearts. Frosting. If you do the 1lb pound cake, one regular sized tub of frosting should be perfect. 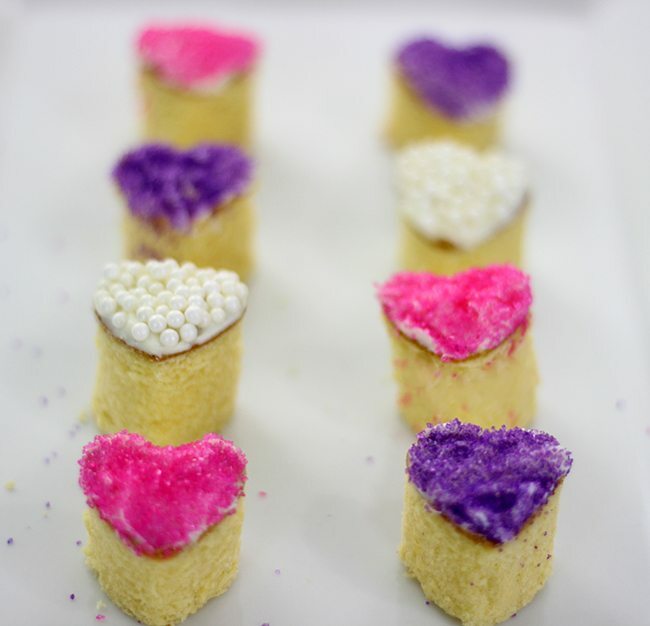 To make these tiny little handheld heart cakes, I sliced the thawed pound cake in half length wise. 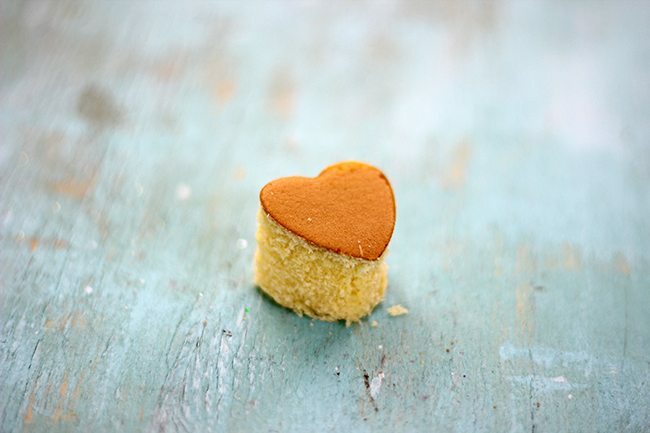 Then, pressed the mini cookie cutter carefully and firmly in to the cake to create the mini cakes. I found it was best to pull away the remaining cake around the shape as I went along. Gently press the cake out of the cookie cutter. 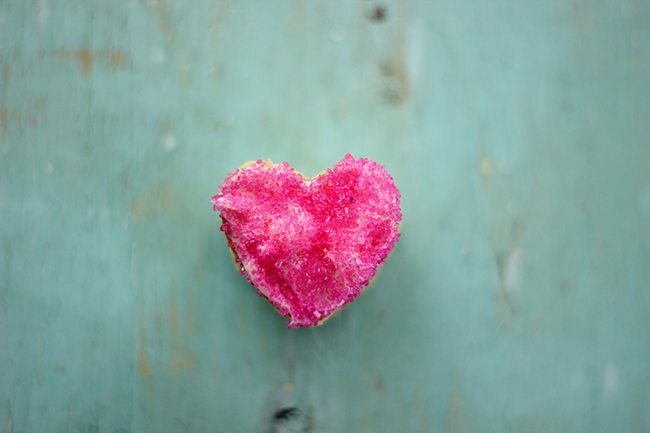 Voila, you have heart cakes! So cute! I just got a kick out of these. Best of all? They are the perfect bite sized treat. 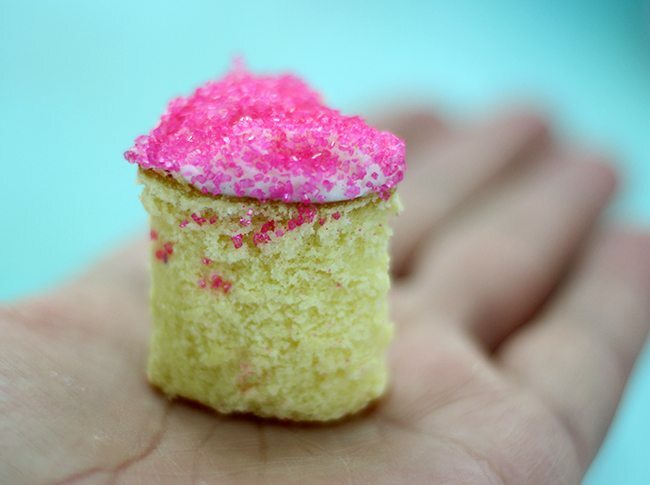 The sky is the limit when frosting and sprinkling up these lil’ cute cakes. Seriously. How cute are cakes you can hold in your hand? 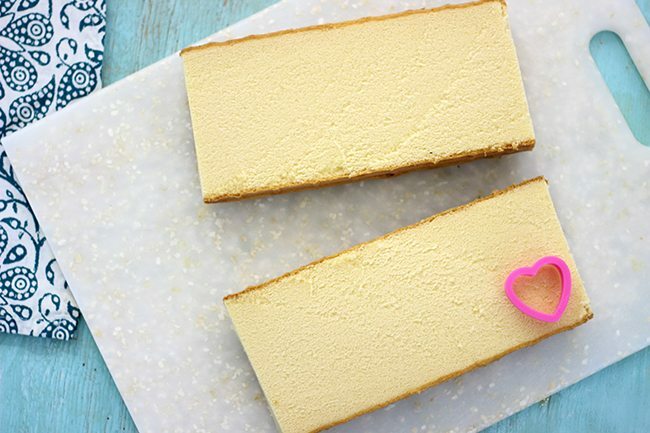 What are your favorite V-day sweets?